Will Farcical Drama Destroy Copenhagen? The world’s eyes will be on Copenhagen this December, as over 192 countries will deliberate there on measures to combat climate change. If successful, it will be hailed as one of the most important summits of our time. It will deliberate one issue that the world is worried of. Hopefully, it would put in place a deal that might avoid a definite catastrophe if emissions continue at the present rate. This is a political opportunity the world cannot afford to miss. Time is running out. As the global economy slowly starts to rise from collapse, it must do so with a price on carbon reduction as part of its cure. All over the world there has been a flurry of meetings to hammer out how to reach some global climate change agreement at this United Nations Climate Change Conference to be held in the second week of December. Rajendra Pachauri, chairman of the Nobel Prize-winning Intergovernmental Panel on Climate Change, has warned that emissions must be stabilized by 2015 and in decline by 2020. 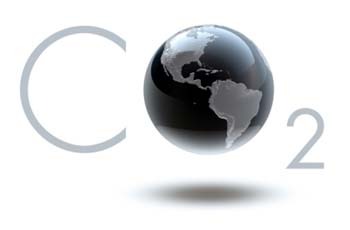 The IPCC's 4th Assessment Report indicates that global emissions must fall by at least half of 1990 levels by 2050. Emissions are increasing at the rate of three per cent every year. Working to reduce emissions seems a mammoth task. But, it is easier than delaying it. Developed countries have to be gracious enough to lead by setting the trend. Though many argue that the IPCC claims are exaggerated, it is a fact that we are already seeing the disastrous effects of climate change. The window to act is becoming shorter and shorter. Nature cannot wait any longer to be repaired. There is enough evidence in India itself: Floods, droughts, extreme weather, changed rain patterns, glacier and ice melt and other climate changes that are irreversible. Sources say that Prime Minister Manmohan Singh picked up Jairam Ramesh as the environment minister only because he is a smart and aggressive negotiator. His skills will be at a premium at the summit organized by the United Nations Framework Convention on Climate Change. Copenhagen. The world is looking at what the US, China and India will do at the summit. 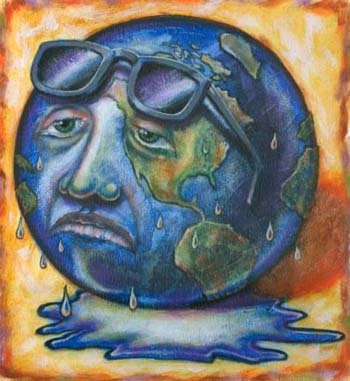 The Kyoto Protocol that was created to fight climate change and arrest global warming runs out in 2012. The situation today is worse than ever before as far as global warming goes and there is a need for a new protocol. This will be discussed and dissected at Copenhagen this December. Most governments today hope the Copenhagen meet will produce a new global agreement that commits nations to undertaking new measures to reduce greenhouse gases. Hosts Denmark is keen to drive the point home as they are setting up a huge windmill at the conference site to generate clean energy to meet the needs of the summit. But, the Copenhagen summit is not without skepticism. The German Environment Minister Sigmar Gabriel has already said that Copenhagen will be a disaster as there is no movement on any new idea or game plan as all countries are just repeating their well-known positions. No one, he felt was talking in terms of how to reduce greenhouse gas emissions. Or how to work out financial systems that can aid technology transfer so that even the underdeveloped nations could join the race to fight climate change. There is mistrust between the developed and developing nations and that has built up over the years as the developed countries polluted the world to reach there but are now asking the developing ones to cut down on emissions even if it curtails their growth. The developed nations are also not ready to finance technology or transfer it at a reasonable rate to developing countries to cut down emissions. As expected, the big players will dominate. Developing countries like India and China say that since wealthy industrialized nations like the United States polluted a lot on the road to becoming a developed nation, they must rise to the occasion and gracefully set an example by cutting down emissions and transferring clean technology to poorer nations at a reasonable price. But the larger western view has been to clamp down on India and China and ask it to take the cuts on carbon emissions. China recently overtook the United States as the world’s largest emitter of carbon dioxide. But the fact remains, that the US has emitted far more emissions than China. On a per capita basis, Chinese emissions would be just a quarter around that of the US. China has argued that it has a right to develop and in doing so, carbon emissions are inevitable. Most of the goods it produces cater to the western market. So, China says that the stress on cutting down emissions must not be on the producer, but on consumer countries as they also have a responsibility. How this will play out in Copenhagen remains to be seen. There are going to be some fireworks as the United States is one of the biggest consumers of fossil fuels and energy. In the future, a low carbon economy will have to favor low carbon players. So, business is gearing up for it-not because they want to cut emissions-but as it will be the only way to do business in terms of long-term benefits. Till now, business was part of the climate problem. Now, it has to become the solution. But it needs to have a business environment where their investments in low carbon will pay off. How much are industrialized countries willing to reduce their emissions of greenhouse gases? The United States, one of the greatest polluters in the world, refused to ratify the Kyoto Protocol arguing that their economy would be wrecked if they reduced emissions by five per cent. George Bush in fact said that he would do nothing to compromise on the American lifestyle. Bush did a lot of damage by letting America live in denial of the damage it was doing to the environment. Secretary of State, Hillary Clinton, said that the United States was now determined to make up for lost time while recently addressing a meeting of 17 of the most powerful economies in the world. The Copenhagen Climate Change Conference is being watched as it is expected to broker an international treaty when environment ministers from nearly 190 countries meet to find out an alternative that will better Kyoto Protocol. If they fail to do this, it is going to be a hopeless Christmas. And a bad way to start the New Year. Kyoto Protocol was the first attempt to regulate global warming way back in 1977, but one country that just never got down to ratifying it was the United States. The Kyoto Protocol made the rich countries that had developed by abusing the environment responsible to restrict carbon pollution while the developing ones like China and India were let off. But, as the United States was not ready to ratify it, Kyoto lost its muscle. Bush, in fact, labeled it as a “flawed treaty”. That is why Copenhagen can put both US and the world on a correction course and bring in a new mechanism for meaningful carbon cuts. Needless to say, it will need both the US and China which are today the world’s worst polluters to sign. And then implement. But there is a flicker of hope at Copenhagen as President Barrack Obama has expressed a desire to cut down 80 per cent of greenhouse gas emissions by 2050. As he is already been talked of as America’s first green President, Obama has repeatedly stressed he intends to bring in renewable energy to replace polluting fuels. If any person matters at Copenhagen, it is President Barrack Obama. If there has to be any impact on climate change, the United States has to take the lead. The world will know on December 18 if the US has been able to rise like a world leader, as that is the last date of the climate negotiations at Copenhagen. Obama is in a unique position to ensure the United States takes the global leadership in the climate change battle. All he has to do is to use his powerful communication skills educating Americans on why it is so crucial to save the world, start work on that front at home and put a seal to the worldwide efforts to reduce emissions and breathe easy. He will also keep his promise that he made in his historic Presidential address to roll back the specter of a warming planet. He has to underline the symbiotic relationship that exists between economic prosperity and environmental stewardship. With the Nobel Peace Prize under his belt, he has no choice. As far as his scientific team is concerned, Obama has an enviable team in John Holdren, Science Advisor to the White House, Jane Lubchenco, Head, National Oceanic and Atmospheric Administration and Energy Secretary, Steven Chu. What he needs now is to empower them to convince the American public about the true science of climate change and why it is the most urgent issue that faces the world today. Also, how America cannot carry the label of being one of the worst polluters in the world. Green activists in America hope that Obama will use the executive authority he already has under the Clean Air Act to achieve some quick victories and put pressure on Congress to act boldly. But Obama will now have to walk the talk. Recent indications show that he would rather soft pedal on emission cuts and not commit to anything. If that happens, other developed countries will follow suit as it is the most convenient thing to do. Denmark’s minister for climate and energy, Connie Hedegaard, says that Obama must push through global warming legislation in the US before Copenhagen if the US wants a credible leadership role at the summit. This might happen as Obama has to convince legislators of the need to pass a law if the US has to a party to any treaty that it wants to sign at Copenhagen. Agreement on a science-based greenhouse gas stabilization path with 2020 and 2050 emissions reduction targets. Effective measurement, reporting and verification of emissions. Deployment of existing low-emissions technologies and development of new ones. Innovative means to protect forests and balance the carbon cycle. If taken seriously, these six points will go to make a world of a difference at Copenhagen. Business all over the world today recognize the danger of climate change and will be willing to chip in as it is the only way out and to secure a better and safer future. If the right environment is created, it will ensure that those who are today responsible for careless emissions will change and even reduce it much beyond what is required by regulation. They well know that customers and investors would reward it in the long run. But they also need to be encouraged to go in for clean technology with incentives like tax exemptions. Energy efficiency can aid help cut down significant emissions. Any new treaty at Copenhagen must be designed to support low carbon technology by giving incentives so that from here on, only the lowest emissions infrastructure and technology will be used. Another challenge is to ensure that both government and industry work together to make clean energy technologies easily available. This is not a time for developed nations to make a fast buck on clean technology but to make it accessible to the poorest of nations. As a high proportion of GHG emissions come from deforestation, preservation of forests is crucial. Any future climate treaty must ensure that if CO2 reduction has to be achieved, forests have to be protected to enhance carbon sequestration. The biggest challenge today is to reduce emissions that have been intractably linked to our economic growth. But let us look at it this way: It will also bring forth a better sustainable lifestyle, better and healthier growth, development and scientific innovation. Actually, we stand to only gain by it. India has to lead the way by example. Irrespective of what happens in Copenhagen, India has to get down to cleaning up its act immediately and be a model for others to follow.